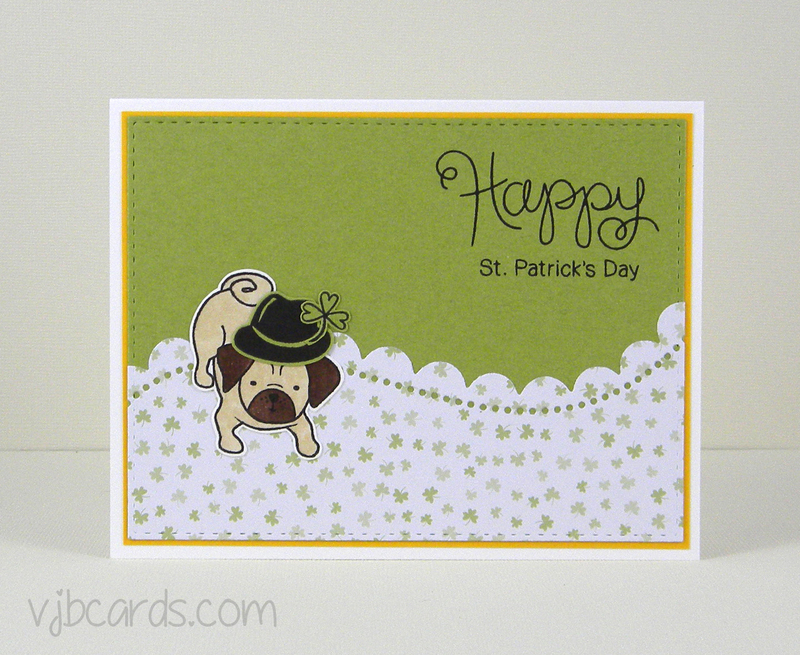 I have two more St. Patrick's Day cards with pugs on them to share today. 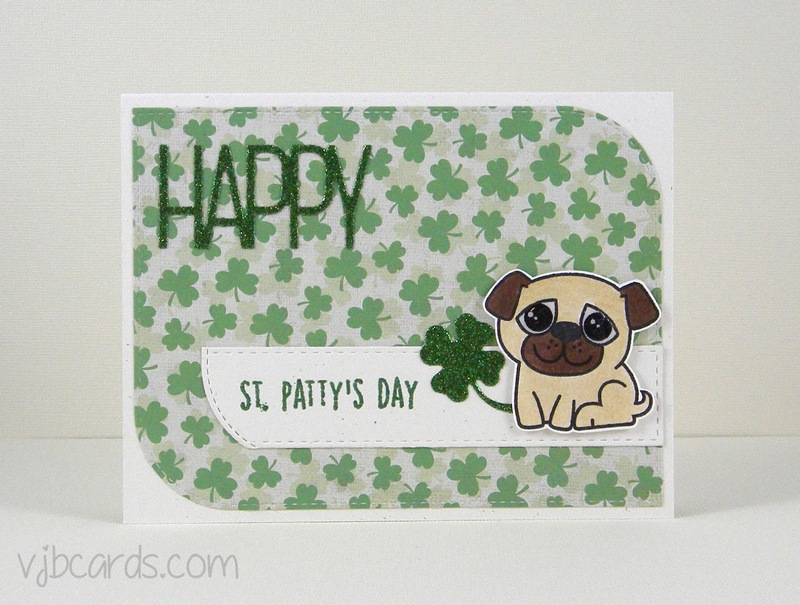 I apologize for such short and infrequent posts. Just super busy trying to get ahead of cards needed in my Etsy shop and doing what seems to be endless yard work before the heat of summer returns. Thanks so much for visiting!